BANGOR, Maine (AP) — A federal judge heard arguments Wednesday aimed at stopping Maine’s unusual ranked-balloting system, even as election staffers scanned votes to determine the winner of last week’s congressional race. Republican U.S. Rep. Bruce Poliquin and three activists sued Tuesday to overturn Maine’s new voting system. U.S. District Judge Lance Walker heard arguments Wednesday about whether to halt the vote-counting process until he has time to rule on the system’s constitutionality. Walker indicated he would rule as soon as Thursday on the request to halt vote-counting. The state’s elections chief also said workers were resuming the counting with an eye toward completing it Thursday. Supporters and opponents of ranked-choice voting were eagerly awaiting both results, and wondering which would come first. Walker’s ruling could have major implications for the future of the voting method, which was approved by Maine voters but has drawn ire from Poliquin and others who believe it is confusing and violates the concept of one person, one vote. James Monteleone, an attorney who has represented ranked-choice voting supporters, has called the lawsuit “frivolous,” but Poliquin has described the system as too “convoluted” and “chaotic” for voters. “The ranked-choice voting process has been repeatedly affirmed by the people of Maine,” Monteleone said Wednesday. The first round of voting on Election Day ended with Poliquin and Democrat Jared Golden both collecting about 46 percent of the vote in Maine’s 2nd Congressional District. 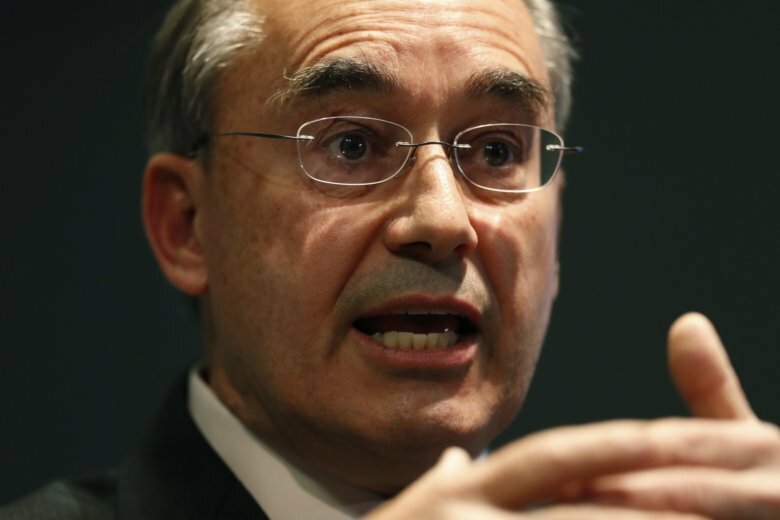 Poliquin held a slim edge and declared himself the “fair and square” winner. If the system stands, either Poliquin or Golden will be the first member of Congress elected by such a method. Election officials are set to resume the count Thursday, Secretary of State Matt Dunlap, a Democrat, said Wednesday. “We’re moving on a pretty fast track,” said Dunlap, who declined to comment on the court case. A pair of independents who ran in the congressional race, Tiffany Bond and Will Hoar, had encouraged voters to rank each other first and second on the ballot. They combined for about 8 percent of the vote total. Bond and Golden filed court papers to intervene in the federal case Wednesday. Poliquin and the other plaintiffs were seeking a temporary restraining order to halt vote counting and prevent the state from certifying a winner in the election. That would effectively throw the election into limbo while Walker, the judge, rules on the constitutionality of ranked choice voting. Walker became a U.S. district judge a little less than a month ago after the U.S. Senate approved his nomination by President Donald Trump. Maine’s use of a ranked system in U.S. House and Senate races was a first in American history. Two other races that used the system were decided by wide enough margins that additional counting was not needed. The system isn’t used in Maine state races because of concerns it could violate the state’s constitution, but it is used in state primaries and federal races.